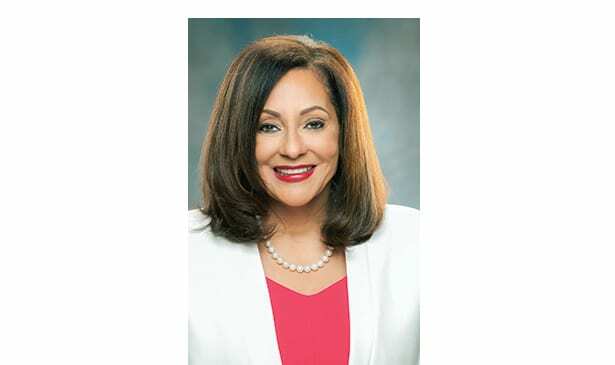 NASHVILLE, TN — During her first 60 days as the new dean of Meharry’s School of Medicine, Veronica T. Mallett, M.D., MMM launched her bold vision to transform Meharry into the southern region’s leading academic medical center by 2037. Mallett, who began her role as senior vice president for health affairs and dean of the School of Medicine on March 1, oversees School of Medicine academic programs, research efforts, curriculum, student affairs and fiscal management. As senior vice president for health affairs, she is responsible for incorporating the activities of the school to advance the strategic goals of the college overall in the area of health care. She is also responsible for the quality of health care provided at Meharry. Realizing that Meharry cannot compete with area hospitals in subspecialty care, Dr. Mallett’s value proposition in the clinical arena is to provide an integrated health experience focused on wellness. Dr. Mallett’s clinical vision is for Meharry to be nationally recognized for innovation and excellence in providing high-quality, cost-efficient, safe, patient-centered care in an urban safety net teaching environment. The health care we deliver in 2030 will likely look very different than the health care we experience now. Knowing that her learners need to be prepared for the future, her educational vision is for Meharry to be nationally recognized for its ability to provide an outstanding, innovative and supportive educational environment for its diverse medical students and residents. “Fifty percent of medical visits in 2025 are going to be virtual. We need to reflect that in our curriculum,” said Dr. Mallett who received her M.D. from Michigan State University’s College of Human Medicine and is board certified in obstetrics and gynecology, and female pelvic medicine and reconstructive pelvic surgery. One of Dean Mallett’s priorities is updating Meharry’s educational experience and structuring it in a way that it can continue to evolve and transform in conjunction with the latest advances in health care. Peers describe Dean Mallett as a visionary who is approachable and willing to listen. She is known for her enthusiasm and love of innovation. Dean Mallett pursued leadership roles throughout her career. Prior to joining Meharry, Dr. Mallett was the founding chair and professor for the Department of Obstetrics and Gynecology at the Paul L. Foster School of Medicine at Texas Tech University Health Sciences Center El Paso. She also has served on the faculty of Northwestern University, Wayne State University, and the University of Tennessee Health Science Center and has authored nearly 100 articles, book chapters and abstracts. Dr. Mallett has been recognized nationally and internationally for her work in the treatment of urinary incontinence and genital organ prolapse as well as her efforts to reduce health disparities. She was recently named one of the 2017 Top Blacks in Healthcare by Blackdoctor.org. She wants to motivate students and she encourages them to be bold and seek leadership roles. “If I had to give one message to you, it is don’t be afraid to step up. Don’t be afraid to be the one to say ‘I’ll do that,’ or ‘I’ll be the one out in front,’ or ‘I’ll take the chance and do the thing that I didn’t think I could do,’” Dr. Mallett said. Meharry President and CEO James E.K. Hildreth, Ph.D., M.D. said Dr. Mallett has a strong passion and desire for improving health care delivery in underserved communities. “We believe this strong commitment, coupled with her expertise in women’s health, will enhance the academic and research programs for our School of Medicine and strengthen Meharry’s mission across our campus and community,” Dr. Hildreth said.